Drawing inspiration from Chicago’s rich architectural history, The Palmer is clad in brick and references the neighborhood’s forward-thinking vibe by incorporating steel and glass. Each three-bedroom residence is situated on a corner, offering double exposure to abundant natural light and urban activity. Each unit provides private outdoor space, some with gracious terraces or rooftop decks with outstanding city views. Convenient elevator service to each level, indoor parking and a secure dog run all within steps to public transportation, The 606 and Chicago’s most coveted dining and nightlife. quartz countertops, custom cabinetry and hardwood flooring throughout. 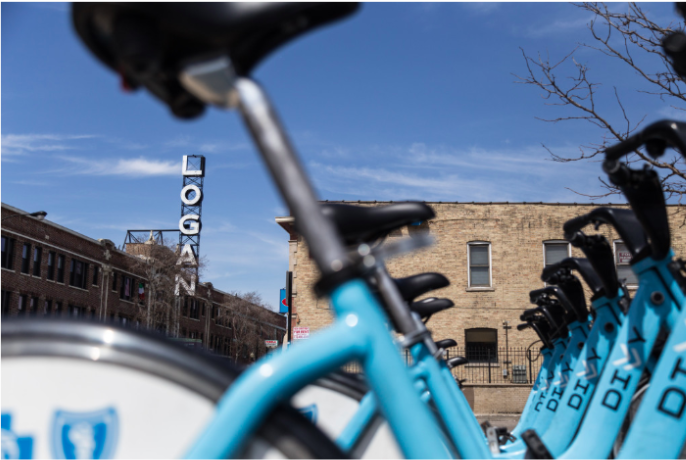 Logan Square remains a rarified spot in Chicago. Energetic and edgy, yet relaxed and filled with some of the city’s most iconic restaurants, bars and parks. Adjacent to the celebrated 606, this coveted location is nestled in the heart of the city, yet a Sunday stroll or bike ride is just steps away. Founded in 1992, SNS Realty Group has continuously raised the bar in residential real estate development. They have extensive experience in developing condominiums, townhomes, mixed-used developments and single-family homes. They are dedicated to developing in Chicago’s most sought after locations, using the finest materials and providing only the highest level of service to all of their clients. SPACE Architects + Planners is a collective of design professionals with a common vision and a passion for architecture, planning and design. Their growing team is firmly dedicated to its clients, for projects both large and small. They enjoy successful working relationships with all of their clients, and are determined to establish SPACE Architects + Planners as one of the premier architectural firms in Chicago. They believe that good architecture evolves through humble, team-based efforts. Their office thrives in an open and collaborative atmosphere, which favors cohesiveness between team members and, as a result, directly benefits their projects and clients. At their core, they strive for: Creativity, Teamwork, Integrity, Transparency + Accountability. Compass Development is the purpose-built new development sales and marketing division of Compass. The Chicago Region, led by Heather Gustafson, is comprised of a team of experienced real estate professionals who specialize in disciplines including Research, Planning and Design, Marketing and Sales. The team takes a hands-on approach to advising developers from pre-acquisition through project sellout, and collaborates with Compass agents nationwide.